Just a couple days ago we reported that Asus had released the first two motherboards to implement socket FM2+ for Kaveri processors, new information has hit the web regarding AMD’s new APU that will follow Kaveri. The upcoming part, codenamed Carrizo, is expected to show up in the early 2015 and will replace yet-unreleased Kaveri. Details are still sparse regarding Carrizo, but rumors point to the new Accelerated Processing Unit being compatible with FM2+ socket and A88X chipset. The successor to Kaveri is expected to support DDR4 memory, although at this moment it is not known if it will be available for the desktop with regular DIMM modules or only as soldered BGA parts for OEMs. 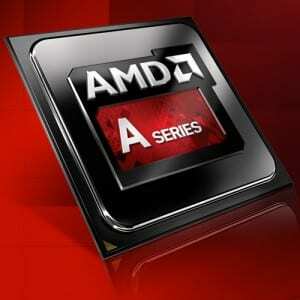 While current APUs from AMD dissipate up to 100w, the new chip is said to have TDPs up to 65w. This implies a much more efficient architecture and a more advanced manufacturing process. With upcoming Kaveri being built on the 28nm node, it is logical to think Carrizo could be manufactured using 22nm SOI process. If rumors prove to be true, newly released FM2+ motherboards could support APU upgrades well into 2015, providing an easy upgrade path for users of AMD’s APUs.